Just nine miles from downtown Chicago’s financial and commercial center, Oak Park’s residential front-porch neighborhoods are dotted with excellent local schools, recreation centers, and playing fields. One of Chicago’s top schools, Oak Park River Forest High School is centrally located near downtown Oak Park, as is the technological state-of-the-art main library housed in an architecturally significant structure. Retail enclaves have specialty stores, an arts district, and Oak Park is famous for its shops that feature Chicago arts and crafts. Modern town amenities are coupled with an historic sense of place in this cosmopolitan commuter haven. As of the 2009 census, the area had a total population of 50064. Below is a summary of closed single family houses in Oak Park for the year 2009. Data from the Multiple Listing Service shows there were 335 single family Oak Park homes sold last year. The average market time for an Oak Park single family house was 138 days. The average Oak Park single family home sold for $400,699.00. 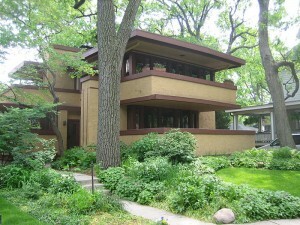 The median sold price of an Oak Park single family house was $372,000.00. The most expensive house in Oak Park sold for $1,280,000.00. The following properties are just some of the unique homes available on the market ( updated today) in Oak Park. For a more detailed analysis of the Oak Park Real Estate market please contact our Oak Park expert at 312-528-9220 to answer any questions, schedule showings or to get your Oak Park residence sold.